Each Missouri birthing facility is encouraged to create up to a five member health care team to attend. 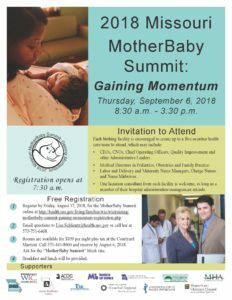 Participants will learn from other hospitals and birthing centers about efforts to implement evidence-based practices and network with other maternity care leaders. *Facilities will be added as registrations come in.